The same malignancies that arise in the major salivary glands occur in the minor salivary glands. Depending on the series, approximately half of all tumors of minor salivary gland origin are malignant. The most common location is the palate. An interesting paradox is that the smaller the salivary gland, the greater the likelihood that a tumor originating from that gland will be malignant. 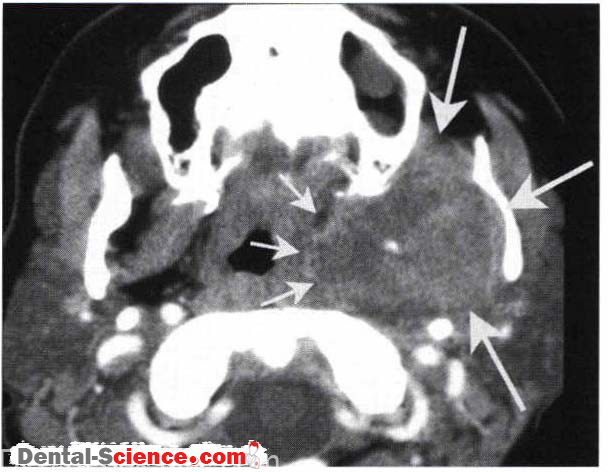 The incidence of a salivary gland rumor being malignant is substantially greater in the palate than in the parotid. 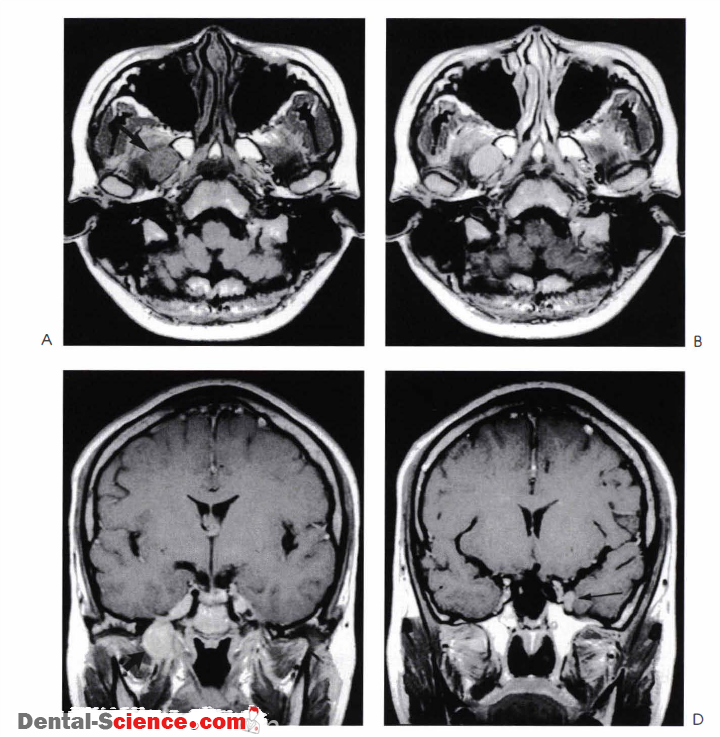 Patients often present with asymptomatic masses that have been present for several months. Pain and ulceration may be present; however, these are not consistent findings. It has been estimated that there are between 500 and 1 000 minor salivary glands located throughout the oral cavity and oropharynx. They may be found within the hard and soft palate, uvula, lips, retromolar trigone, tongue base, floor of mouth, and tonsil. The malignancies that constitute minor salivary gland tumors include adenoidcystic carcinoma, mucoepidermoid carcinoma, and adenocarcinoma. Many investigators now include low-grade polymorphous adenocarcinoma as a rumor of minor salivary gland origin. The most common malignancy of the minor salivary glands is adenoidcystic carcinoma. The treatment of malignant salivary gland tumors depends on the exact histologic type. In general, complete surgical resection offers the best chance for cure. Postoperative radiation therapy is required in the majority of cases. The role of neutron beam therapy for unresectable adenoidcystic carcinomas is currently being evaluated. The CT findings are non specific . These are usually soft tissue masses that enhance following contrast. These tumors are usually intermediate signal on T l -weighted sequences and enhance following contrast administration . The T2-weighted signal is variable. For adenoidcystic carcinoma involving the hard palate, CT should be performed to evaluate for bone erosion in the regions of the incisive canal and greater and lesser palatine foramen. MR should be performed to evaluate for extension into the pterygopalatine fossa and possible retrograde perineural spread along the maxillary division of cranial nerve V or along the nerve of the vidian canal. These a.re potential pathways of spread in the cavernous sinus. These potential spread patterns should be evaluated in all patients because this may preclude primary surgical resection at many institutions. 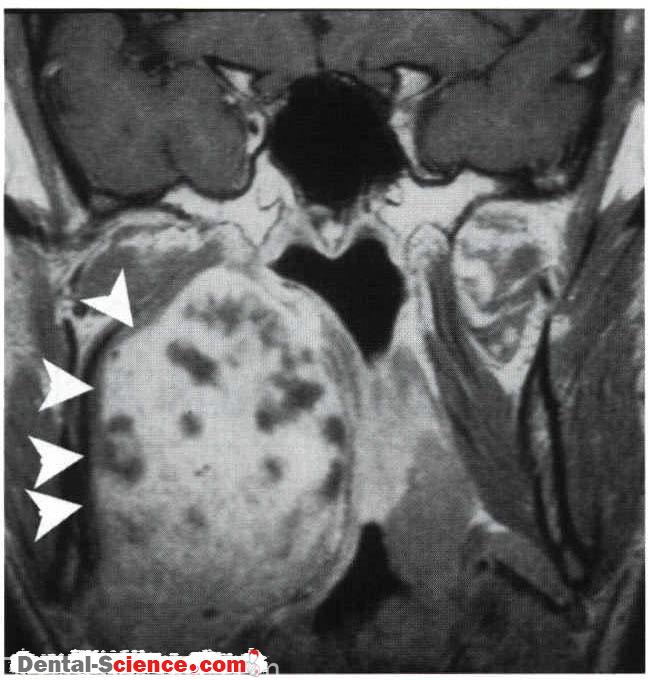 Patients who present with infraorbital numbness and paresthesias should undergo a high resolution MR of the palate and trigeminal nerve or evaluate for the presence of clinically occult adenoid cystic carcinoma of the hard or soft palate that has invaded the infraorbital nerve. 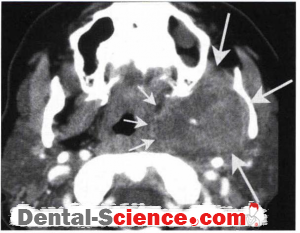 We recommend performing MR imaging in patients with polymorphous adenocarcinoma arising in the oral cavity because, based on our experience, it appears this tumor has a propensity for marrow invasion.